Norfolk vineyard and wine specialist, Barnham Broom Piggeries and Vineyard, is expecting a bumper year thanks to the current heatwave and the recent wet spring. 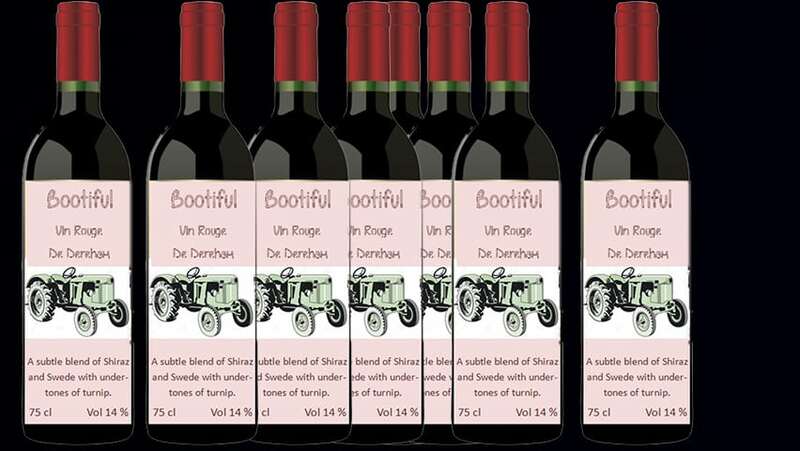 The business has won accolades worldwide for its full-bodied red wine called Bootiful, and this year’s harvest is expected to yield an extra special vintage. A spokesman explained: “This year looks like being a bumper harvest and best ever vintage for our Bootiful red wine. Advance orders get a free stomach pump with every case, and Barnham Broom Piggeries and Vineyard insist they are not liable for any losses such as driving licenses, power of speech, dignity, and underwear.